I’ve had a bunch of requests lately to update the Camera Profile presets that I released a couple of years ago so here they are. These presets simply select the Camera Profiles that you’d normally select in camera (picture controls or picture styles that increase saturation, color, contrast). If you shoot in Raw though, those styles are discarded and left off of the raw file (which is why your raw file sometimes looks a little flat in Lightroom). But Lightroom has profiles that simulate those controls in the Camera Calibration panel in the Develop module. I get a TON of questions on how to apply these to multiple photos and I think the presets are one of the best ways to do that. Just select your favorite one in the Import dialog and it’ll be automatically applied to the photos so you don’t have to do it. First things first… these presets only work with Raw files so don’t try them on JPEGs. There’s also 2 downloads here. One for Nikon and one for Canon (sorry if you use another brand but I had to go with the top two here). Give ’em a try. I think you’ll find them easier to click through (or even better, hover over and check them in the Navigator preview panel), rather than clicking on each profile in the Camera Calibration panel. Click here to download the Nikon presets. Click here to download the Canon presets. Here’s a video that’ll help you install and organize your presets. Hi, could you please reupload the archives? Thanks a lot! The link for “Click here to download the Nikon presets” is not working. Could you PLEASE PLEASE PLEASE refresh it as soon as possible so that we can download the presets? 🙂 Many of us will be very grateful. The archive is broken. I have tried to download but the archive is not working. I loved these presets and used them a lot, but lost them when my computer crashed. The link to them isn’t working any more, and i was wondering if you’ll fix that or if they’ve been lost for eternity. I’m hoping it’s the former. I use a Nikon D800, and I’m curious if the Nikon presets are set up to work better with Nikon RAW images vs the Canon presets. Is there a difference between the Nikon and Canon presets? 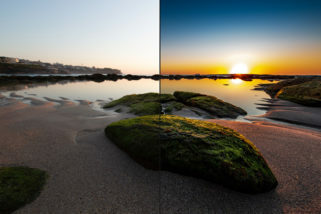 Does it make a difference in Lightroom 5 which one you use? 1) The presets definitely work better on Raw files. 3) Nope, no difference. Use whichever one looks good. I guess I worded that a little wrong. I was trying to ask if it REALLY matters which preset you use (whether it be Nikon or Canon) onto a RAW Nikon file. I didn’t know if they were both completely 100% compatible for editing RAW Nikon files. Just wanted to make sure that the Canon presets wouldn’t create future problems when used on a Nikon file. First of all thanks for all the help I have gained from this site, all is really helpful! I was wondering if you, or anybody else noticed messed up colors in the Nikon presets. Not necessarily yours, but also the ones that come with Lightroom in camera calibration. I was hoping for an improvement update in 5.2, but still I see a lot of messed up color “stains”. They are most noticeable in water(specially with longer exposures) or skies. With the adobe standard preset, they disappear. I’m so disappointed, cause I like the presets so much… I shoot with Nikon D600… any ideas??? Nikon D90 and LR 4.4. When I apply the Adobe camera calibration profile to my photo it doesn’t even begin to come close to the out-of-camera JPEG or the raw NEF file as rendered by Nikon View NX2. I installed Matt’s profiles and the results were similar to the results based on the Adobe camera profiles. Hardly and difference between the unedited NEF file and the way the image looks after the profile has been applied (certainly not the “pop” that is found in the JPEG image). Am I completely missing something here? I thought the whole idea behind creating and using camera profiles was to approximate the results achieved with in-camera image processing. lets say that we are talking about a portrait shot. What I do is open the shot in ViewNX and open the same shot in lightroom. I match the lightroom colors by using the sliders to the ViewNX photo and safe it as a lightroom user preset. The next time when I import photos in to lightroom I open the “Apply during import” window and select the preset that was created. thanks for the presets!! Unfortunately, if I select them in Lightrrom 4.4 nothing happens. Do I need updated presets for LR 4.4 ? How do you delete Camera Calibration Profiles? I created a few in LR4 based on CC Passport shots I took and was an idiot when I named them. I just want to remove some from the list and can not find anything on it. Thanks for your help! for those who are using sony cameras, here are the camera calubration profile presets! And that’t the reason they don’t work with JPEG – because You can’t change camera profile with JPG. They should be named develop preset. Thanks Matt for the presets. I am just confused about the difference between the presets menu in your video and the presets found in the camera calibration menu (LR 4 dev module). Is or is it not the same? Thanks for the presets Matt. Is there a reason they don’t work on JPEGs? I used to use your old ones on my JPEGs as my first step when I edit a photo. Thanks! Those Nikon presets are AWESOME. Thank you so much! You and everyone at Kelby Media have done so much for me. I cant express my gratitude. That said, the most recent copy of your magazine explained how to set presets that are camera (not brand) specific, which I followed and now use for my D300s and can see the improvements over the generic Adobe settings for my camera. So how can one set of presets for Nikon or Canon or any camera work? Why not explain the process and have folks make their own. Took little time really. First off, I have been a huge fan of this site since the original LR beta. Thank you for providing videos & answering our questions. Lightroom uses two camera profiles for every camera model it supports to process raw images. The profiles are produced by photographing a color target under different white-balanced lighting conditions. When you set a white balance, Lightroom uses the profiles for your camera to extrapolate color information. These camera profiles are the same ones developed for Adobe Camera Raw. They are not ICC color profiles. Thanks matt. I’m looking fowrard to trying these out and seeing what effects they have. I have a question related to Lightroom and I cant find the answer anywhere so I thought Id turn to the one person who knows LR better than anyone else. What I would like is for Lightroom to automatically set noise reduction on my images on import depending on the ISO. I shoot with two bodies and I would like to know if its possible to set up a ‘preset’ for each camer based on the serial number etc?? A response would really help me out and really cut down my post production time. I guess these can’t be used with ACR, but only with Lightroom. Matt, would you comment on the effect of Process 2012 on develop presets designed under previous processes? Thanks a lot for the update Matt! I’ve been looking forward to these as the old presets caused some of the develop sliders to end up not zeroed out and was a little disorienting. Looks like the old “Standard” preset in LR4 doesn’t have the same black level compared to the update (it’s subtle, but noticeable when you compare the two). Thanks for the presets, how do these differ from the Lightroom default Camera Profile presets that are designed for each specific camera/brand? I forgot to add what sparked my question about default camera calibration profiles and the presets you provided … I was wondering why your presets aren’t having any changes on my image when cycling through them because I may be missing camera calibration profiles that should’ve been installed by default (or that I need to). In the meantime, I’ll import a few other images and see if your presets change their appearance – the one image I am using isn’t B&W but although a color image it has a ton of gray shades. First off, thanks for providing all the presets you do, your hard work has kick-started my workflow many times! So a quick questions, since I did not find my answers on Adobe’s website (and getting any tech support is quite a time-consuming challenge) … I just did an install of CS6 Design Premium and Lightroom 4 on a ‘clean’ computer and have been installing my old LR3 presets (which I have noticed some interesting results of using LR3 presets in LR4), however, I just installed these Camera Calibration presets and upon cycling through the Nikon and Canon versions (in the Develop Module, Presets) I don’t see any changes in the image – I see that the ‘Profile’ switches from Adobe Standard to ACR 4.4 (in the Camera Calibration panel) … but the image doesn’t change noticeably. This matches Photoshop’s CS6 Camera RAW options too. Back in LR3, before installing PSKiss’ camera calibration additions I thought there were more profiles to select from – as some searching online indicates some have Camera Neutral, Camera Faithful or any specific to Nikon or Canon … can you tell me what should be installed by default with LR4/Camera RAW? Before installing third-party camera calibration profiles (PSKiss or any that come from Nik, OnOne, or other LR developers) is there a place I can ensure that I get all Adobe’s current camera calibration profiles? Nik Tonal Contrast,without producing a .tif file and leaving Lightroom,I have been using Capture NX2 for the last 8 years and just love the Tonal Contrast filter,being able to add it to the Nef file is great,just started to use Lightroom 4 and must admit I love the interface compared with CNX2. Have played with all the sliders but fail to match the quality of the TonalContrast filter and yes I do have the Color Efex 3 plug in though I would prefer to stay within Lightroom. I wish there was a way but there isn’t. I use Tonal Contrast all the time and I have to leave LR for it just like you. I am portuguese photographer for several years belive me Matt I was waiting for this presets. Fantastic, thanks a lot. Are these a LR4 only preset? or will they work in LR3.6 as well? I don’t recall the LR3 calibration ones you did before having any adjustments that were slider spacific, they were just a another ACR to use as a starting point to make your photo better before you moved any of the sliders. They should work in older versions of Lightroom too. Hi Julian. They’re actually just presets that apply the profiles. They don’t create new ones. Its just an easy way to apply the profiles without searching through all of them or applying them to photos when you import. I think it is great that you have done these presets, however being a Sony A77 user, I was wondering if you might put an example of how to do these presets generically out there so I might try creating some of these for my camera. I have never created a preset before. Thanks in advance. It’s a little tricky but you can download the Adobe DNG creator and create your own. Thanks for posting them. I downloaded them so that I could compare them to the profiles that I created. Thanks for the presets, Matt. These will be useful when importing images. One question though, in my camera calibration drop down menu I have several different presets for each category. For example, Camera Vivid, Camera Vivid V2, Camera Vivid V3. Your presets look like they are using the non “V2 or V4” versions. I thought the V numbers were Adobe iterations of each camera calibration (and that using the higher V number was the most recent). I’m not sure but when I had some with “V” in them they all looked the same so I’m not sure it matters too much. I have the presents with either no ‘V’ or a ‘V4’. There was a difference between them too. For instance the vivid ‘V4’ had more vibrant greens than the duller results from the preset with no ‘V’. I am just using the V4 as so far the results have been better.